Tim Dinsdale spent over 25 years in his quest for the Loch Ness Monster. They were exciting times, frustrating times and challenging times, but something drove him on for a quarter of a century. That something was the prospect of another glimpse of that thing that had seized his attention long before in April 1960. He wrote occasional books, magazine articles and gave lectures, but he also kept Nessie people up to date on his activities via his Operations Newsletters. I have some of these from 1973 to 1977 and have now put them up for public viewing on my Google Drive. 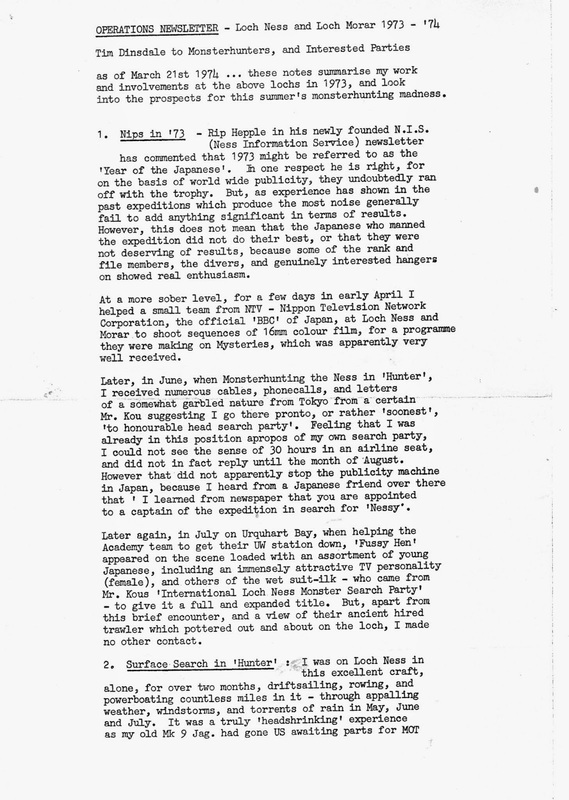 Most of them were sent alongside Rip Hepple's Nessletter but the 1977 one was sent to me by regular reader, Brad. That one is particularly fascinating as it was owned by that other monster pursuer, Roy Mackal, whose collection is up for sale. Brad had bought Mackal's copy of Dinsdale's "Leviathans" and the newsletter was found between its pages. I am sure there are other newsletters and similar items published by Tim. If anyone cares to provide scans of these, I will add them to this archive. The newsletters can be found at this link. Scotland's most famous citizen (not Alex Salmond) says "No". Mind you, forming a "Yes" would be an interesting proposition. Good on yer, Nessie! It is easier to believe the Loch Ness Monster exists than the promises of the "Yes" camp as far as I am concerned. 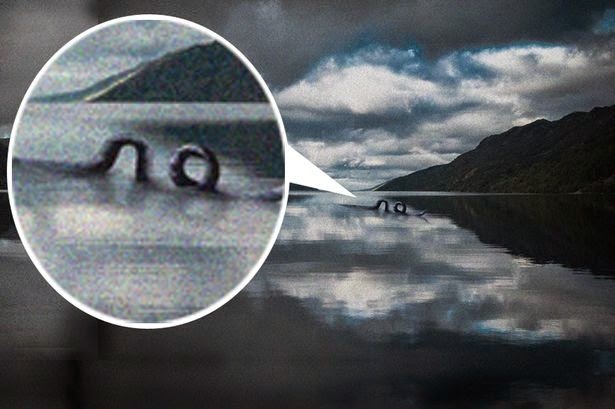 Exclusive from Loch Ness here.